We are proud to announce that the Marbella Property Owners Association has selected Tinnelly Law Group as their association legal counsel. Located in San Juan Capistrano, this gorgeous gated community offers stunning custom homes, and members-only golf, tennis and recreational facilities. In addition to the award-winning championship golf course, residents also enjoy an Olympic size swimming pool and a beautiful clubhouse. 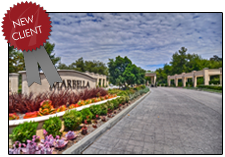 Our HOA Lawyers and staff look forward to working with the Marbella Property Owners Association.